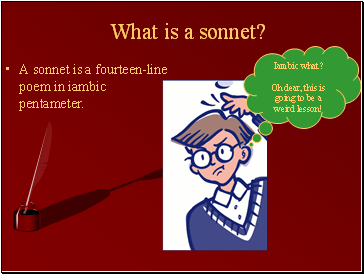 A sonnet is a fourteen-line poem in iambic pentameter. 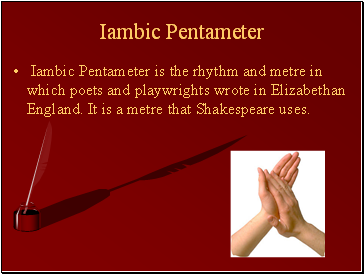 Iambic Pentameter is the rhyth and metre in which poets and playwrights wrote in Elizabethan England. 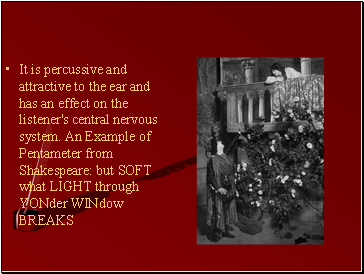 It is a metre that Shakespeare uses. Quite simply, it sounds like this: dee DUM, dee DUM, dee DUM, dee DUM, dee DUM. 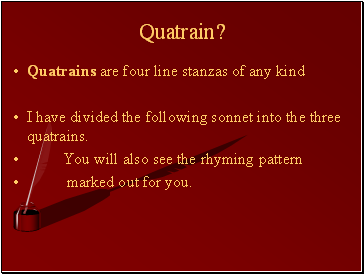 It consists of a line of five iambic feet, ten syllables with five unstressed and five stressed syllables. 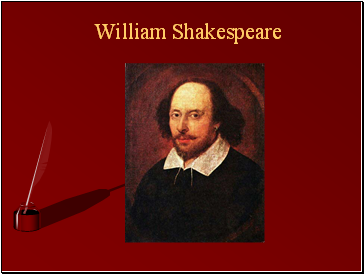 It is the first and last sound we ever hear, it is the rhyth of the human heart beat. 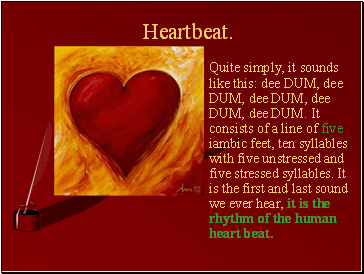 Well an ‘iamb’ is ‘dee Dum’ – it is the heart beat. 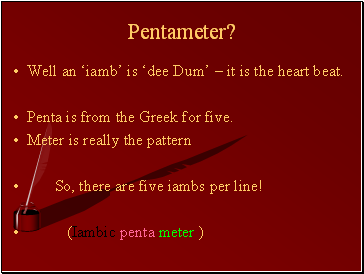 Penta is from the Greek for five. So, there are five iambs per line! 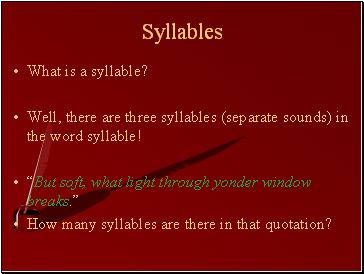 Well, there are three syllables (separate sounds) in the word syllable! How many syllables are there in that quotation? Write this down and underline the stressed words. If you cannot remember, go back to slide 5. 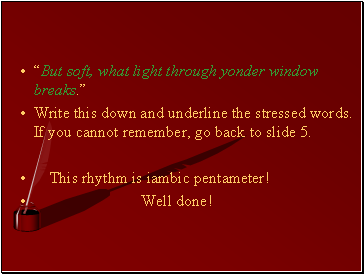 This rhyth is iambic pentameter! 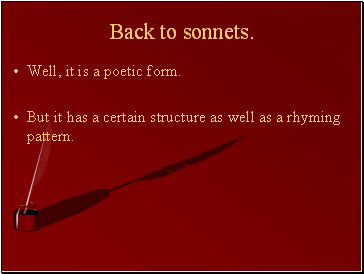 Well, it is a poetic form. 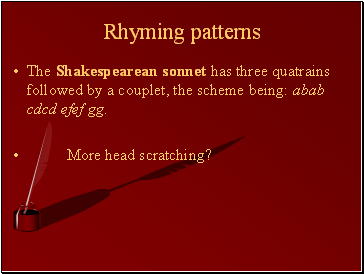 But it has a certain structure as well as a rhyming pattern. 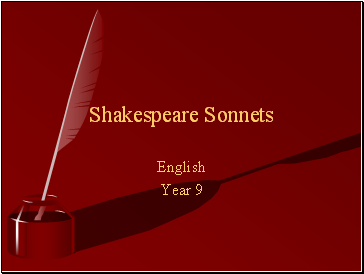 The Shakespearean sonnet has three quatrains followed by a couplet, the scheme being: abab cdcd efef gg.